I suppose it's a good way to start, with a photo of ephemeral history -- the rendezvous of the Three Sisters in 2017. Here they are, at Portsmouth Olympic Harbour. 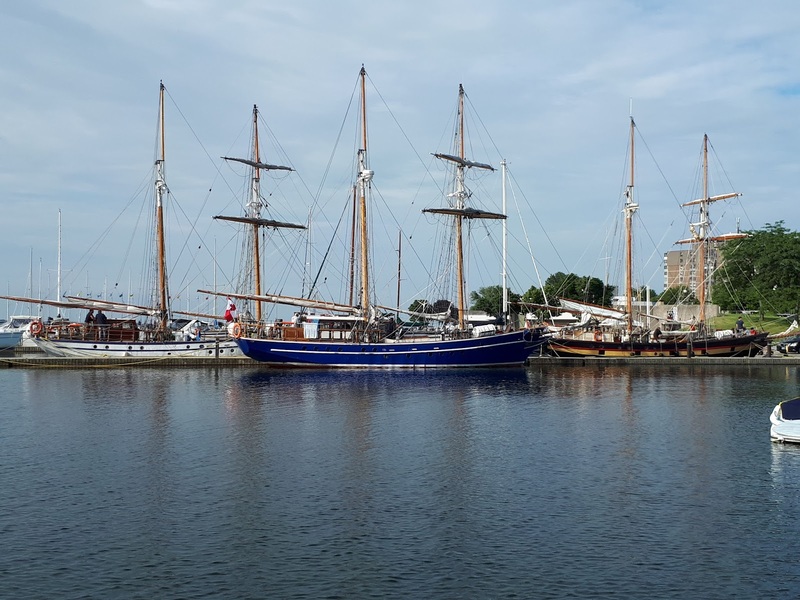 Pathfinder on the left, in white, Playfair in blue, and Kingston's own St. Lawrence II resplendent in black with the ochre "Nelson chequer"stripe. All were designed by noted Kingston Naval Architect Francis MacLachlan as vehicles for "Outward Bound" type youth leadership training, and very successful they have been, since the first was launched in 1953. A quick update -- much has happened since 2013 (go figure). Fireship Press has published my first three novels and has the manuscript for number four in hand (The King's Salt), which I hope will see the light of day this year. I have begun work on number five, no title as yet. 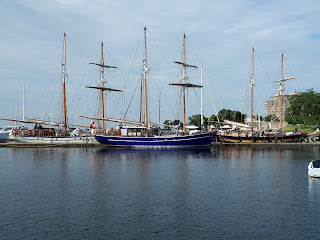 I left the employ of Brigantine, Inc. (which owns and operates St. Lawrence II, the sail training brigantine on the right in the picture above) in 2014 and went back to study history at Queen's University here in Kingston. That seems to have gotten out of hand, since I am going into year 3 of my doctorate this fall!! I have been active in promoting Canada's fascinating history -- a 16-week lecture series at the regional Seniors' Centre, talks at Kingston Yacht Club, at Queen's and at Cape Vincent History Weekend, with one more coming up in August at the Canadian Nautical Research Society Meeting in Halifax. I am boatless right now, sadly, had to sell Wynflo, my most recent aqualove, a steel-hulled Mason 33 last year. 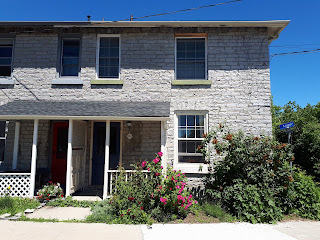 So much to do on our beloved 1856 house in Kingston!! Just like a boat, one has to continuously throw money and time into an old house. Well, loyal bloggsies, today is rant day against the Big Battalions. A few weeks ago, Boeing (tiny US corporation) charged a Canadian firm, Bombardier, with unfair competition and were awarded 300% tariffs (in an American court -- go figure) because Bombardier had accepted loan guarantees from Quebec and Canada, which Boeing considers to be unfair government support. 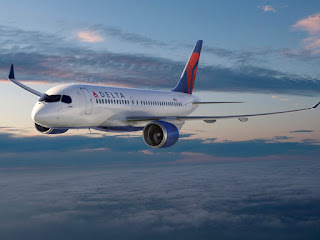 What is even more chilling is that Boeing doesn't even build an airliner that competes with the C-Series Bombardier aircraft -- they tried to palm off some inferior Air Canada used Brazil-built Embraers on Delta, which they quite appropriately refused. Then Boeing, like the huge crybaby bully they are, went blubbering off to Trump's trade folks, and here we are. Versions of this article were originally published in the Toronto Star and in the Kingston Whig-Standard.